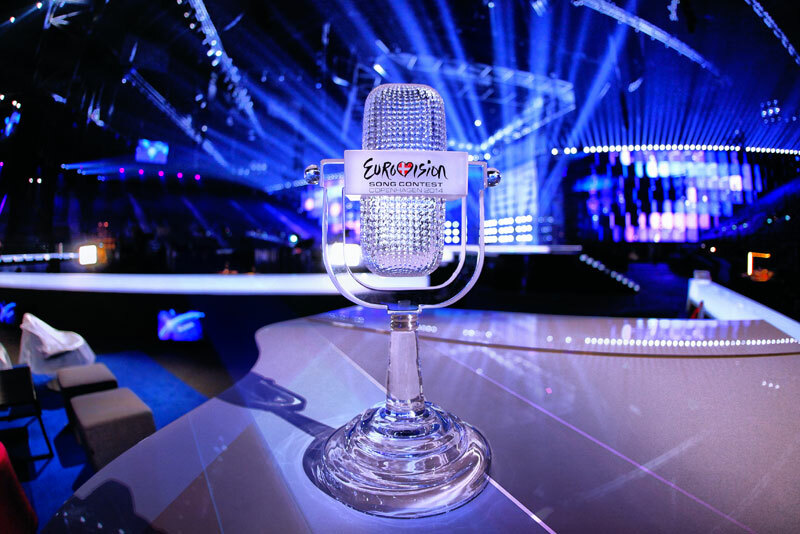 The Trophy of the 2014 Eurovision Song Contest. Photo by Thomas Hanses (EBU). 10 May 2014 . © European Broadcasting Union. On Saturday night, there were other entries that took their place in the more diverse, post-queer Europe given new and different meaning by Conchita Wurst. Political meaning accrued to songs in which it had previously remained neutral (e.g., Pollapönk’s “No Prejudice” for Iceland, and Molly’s “Children of the Universe” for the United Kingdom). Several quite outstanding songs came to envoice a fragile Europe in need of change (e.g., Elaiza’s mixture of cabaret and klezmer in “Is It Right” for Germany, and András Kállay-Saunders’s “Running” for Hungary). Kállay-Saunders transformed the narrative of an abused child to a call for action in European human rights. The son of Fernando Saunders, Kállay-Saunders is a stunning presence on stage, an African American Hungarian, calling attention to the violation of human rights while representing a nation sliding to the right, so much so that many Hungarian artists, musicians, and intellectuals (e.g., András Schiff) will not enter their homeland. Philip V. Bohlman is Mary Werkman Distinguished Service Professor of Music and the Humanities at the University of Chicago. Currently, he serves as Franz Rosenzweig Professor at the University of Kassel, and on the editorial board of Grove Music Online. He writes widely on music and nationalism, most recently Focus: Music, Nationalism, and the Making of the New Europe (Routledge 2011). He is writing the book, Music after Nationalism, for Oxford University Press, a project for which he received a Guggenheim Fellowship in 2013.